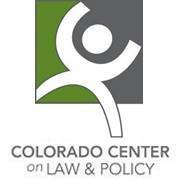 The Colorado Center on Law and Policy (CCLP) advances the health, economic security and wellbeing of low-income Coloradans through research, education, advocacy and litigation. CCLP has more than a decade of experience as one of Colorado’s leading advocacy organizations dedicated to promoting justice, economic security, access to health care and sound fiscal policies. CCLP is a leader in the advocacy community. We provide policymakers, opinion leaders, nonprofit organizations and the general public with research and education about issues of import to lower-income Coloradans; we advocate in the legislature and before executive decision makers on behalf of those issues, and we litigate them when necessary. Published annually by CCLP, this report presents a collection of critical data designed to look beyond broad-based economic indicators to better understand how the economy is working for all Coloradans across the income spectrum. The report reveals alarming and widening disparities along ethnic, cultural, social and gender lines throughout Colorado.